Our teenagers are getting challenged everywhere. They get challenged in sports. They get challenged at school. They get challenged by their friends to give into peer pressure. About the only place teenagers don’t get challenged is in church. Instead, they learn safe little lessons about safe little things. Yet, in the Gospels we see Jesus calling His disciples to danger…to cause…to active participation in His search and rescue mission for lost souls. In Matthew 10:16-20, He actually warned them of the dangers they were about to face, and then He unleashed them to face those dangers by sending them on a community-wide mission trip. Much of what passes as disciple-making today is a faint echo of Jesus’ model. We have discipleship without danger. But discipleship without danger is no discipleship at all. If I’m a teenager, I have nothing to lose in a typical youth group except an hour of time. The closest I’ll get to danger is a paper cut from turning the pages of Scripture during a lesson. But when a teenager is put in a position of sharing their faith with their friends, everything changes. Now they have purpose. Now they have a vested interest in understanding their faith so they can explain it to others in a clear and compelling way. Now they are hungry for spiritual truth that can reach into the lives of their lost and hurting friends. Now they are motivated to pray with passion as they see that heaven and hell stand in the balance when it comes to their friends’ souls. You may be thinking “Well, my teenagers aren’t ready for that step.” That’s because we have a twisted process of discipleship. We think of evangelism as an outcome, but Jesus thought of it as a trigger. If evangelism is an outcome, then after a certain amount of church attendance, Bible study and prayer, our teenagers should be ready to evangelize. Well, …how’s that worked out for the adults in our churches? The average adult has attended hours and hours of sermons and classes and rarely or never share their faith! Jesus turned this model upside down by putting His disciples in dangerous situations. He challenged them. He pushed them. He coached them and He trained them along the way. Think of it this way. Say your church leadership decided they want you to sit through a mandatory six-week, twelve-hour a day bomb defusing class. You don’t have to pass it. You just have to sit through it. Do you think you’d be bored after about a half an hour? But what if you were told that after the class was over you were going to Afghanistan? We are forcing our teenagers to sit through what feels to them like a twelve-hour a day, boring, bomb defusing class, but never deploying them to Afghanistan! Where is Afghanistan for them? It’s their schools. It’s their Instagram and Snapchat. Challenge your students during youth group this week to start praying for one friend who needs Jesus. Our teens are hungry for purpose and meaning in their lives. Let’s give them a cause to live for—THE Cause of Christ Jesus made spreading His message a centerpiece of His discipleship strategy. You can too. 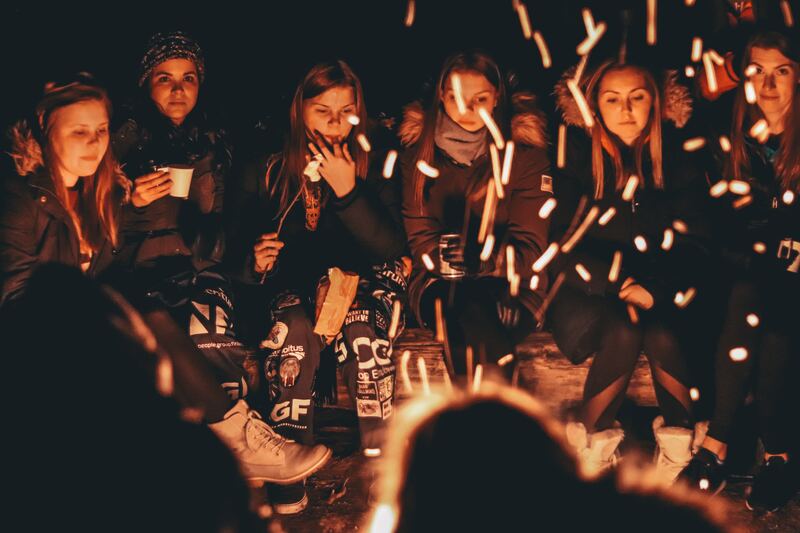 Light a fire under your apathetic teenagers by making evangelism a centerpiece of your discipleship strategy. Set yourself ablaze! Are you on fire for evangelism? Are you burning to reach the lost? Do your teenagers see it in your life? Identify one person you haven’t shared the gospel with yet and determine to begin the conversation this week, then tell your students about your efforts. Be persistent. Tie evangelism into as many talks as you can. Have your teens identify everyone in their circle of friends who needs to hear the gospel. Then hold them accountable and ask them to do the same with you. Take 5 for THE Cause of Evangelism. Set aside five minutes in every meeting to make evangelism a priority. Spend a couple minutes having one teen share a story of what they’re doing to reach their friends, whether their story is good, bad or ugly. Then challenge the other teens in your group to share their faith too. Invest a couple minutes each meeting to give the gospel and invite students to put their faith and trust in Jesus. Pray for the Lost! Set aside a few minutes each week to pray for friends who don’t know Jesus. Isn’t it interesting that Jesus had His group of followers with Him for about three-and-a-half years, pretty much the same amount of time the average youth leader has their teenagers from 9th to 12th grade? Let’s use those years to ignite a passion for Christ and His cause.